The ‘Game of Thrones’ cast were spotted enjoying a few pints in a traditional pub in Belfast, Northern Ireland. 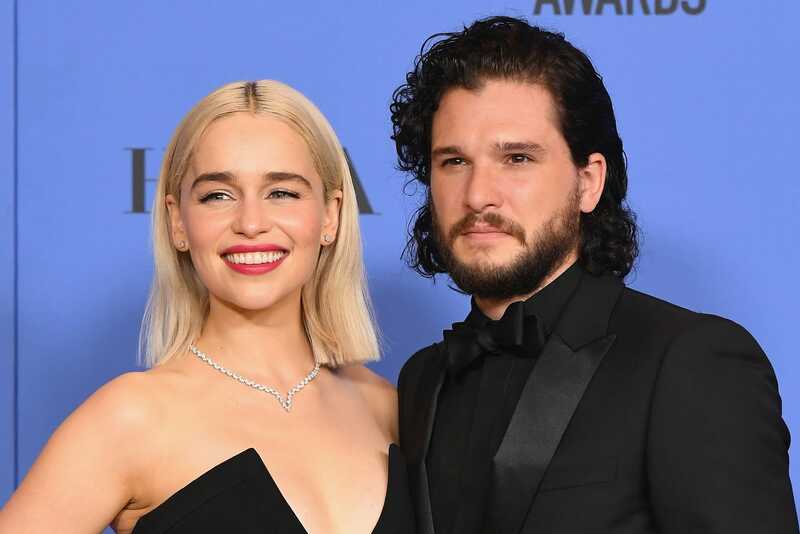 Kit Harington, Emilia Clarke, Peter Dinklage, and Jacob Anderson were among the crew seen enjoying chilled drinks after filming at the weekend. We’re used to seeing the cast of HBO’s “Game of Thrones” in a more glamorous setting, but this weekend some of the show’s actors were spotted knocking back a couple of pints in a Belfast pub after filming. The photo shows GOT producers David Benioff and Dan Weiss as well as actors Kit Harington, Emilia Clarke, Jacob Anderson, and Peter Dinklage enjoying some drinks alongside two unidentified people. The cast members braved the cold weather and swung by the pub shortly after 10 p.m. settling in the upstairs bar at Kelly’s, according to Irish News. Clarke looks to have opted for a gin and tonic, while co-stars Harrington and Drinklage appear to have gone for a couple of pints of the local stout – Guinness. Kelly’s is conveniently located for after work drinks for the cast, as it’s just around the corner from the King’s Landing set at Titanic Studios, according to fan site Winter is Coming, and a mere half a hour from the Winterfell set and Magheramorne Quarry (where they film scenes at Castle Black).